Japan surrendered in August 1945 after the atomic bombings of Hiroshima and Nagasaki, and after Russia had joined the war against Japan. As a result, the planned invasion of Japan, Operation Olympic and Operation Coronet became unnecessary. Even today, more than 60 years later, scholars still debate the morality of the atomic bombings, and the historical issue of whether Japan would have surrendered anyway without the atomic bombings. Operation Olympic was the name of the USA plan for invasion of Kyushu (the southern-most main Japanese island) scheduled for November 1945. 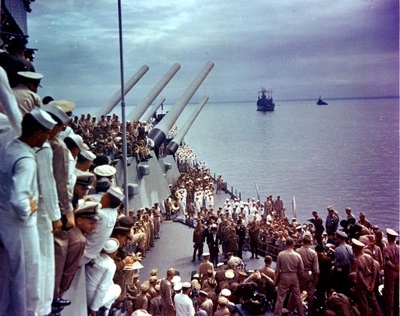 The operation never took place because Japan surrendered in August 1945, immediately following the atomic bombing of Hiroshima and Nagasaki, and the Soviet Union's declaration of war on Japan. If Operation Olympic had taken place, a second invasion, Operation Coronet, was planned as a follow-up and scheduled for the Spring of 1946. Together, the plans for the invasion of Japan, Operation Olympic, and the follow-up Operation Coronet were known by the codename "Downfall" - an appropriate name, considering the death and destruction that these invasions would have resulted in, had it gone ahead. As well as maps of Operation Olympic, and books (including history books, alternate/counterfactual history books, and fiction).